The one-week camps in June and July target two age groups: rising first through third graders (Team Quercus, or oak tree) and rising fourth through sixth graders (Team Acers, or maple trees). Youth education directors Colby Lyles and Sabrina Attimy lead the groups, along with trained volunteers. Both are well qualified for their jobs. Lyles received a degree in outdoor education at Georgia College and State University in Milledgeville with a minor in environmental sciences, then gravitated toward environmental education. “If we give kids a good experience outdoors and teach them about nature, they’ll, hopefully, become committed to protecting our natural resources,” says Lyles, who leads the camps. 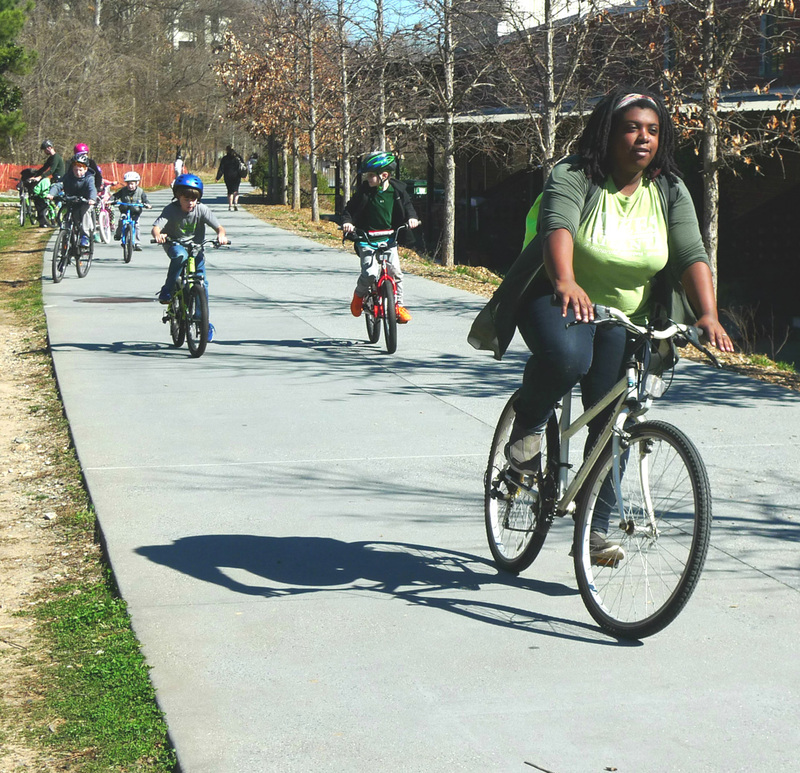 Led by instructor Sabrina Attimy, Trees Atlanta campers explore the outdoors on bicycles. A typical day at Junior TreeKeeper Camp begins at Trees Atlanta’s education center, The TreeHouse, on Krog Street. The BeltLine Arboretum becomes their outdoor classroom, where they have fun learning the importance of taking care of Atlanta’s urban forest. But there is one catch before the fun starts: Every child must be able to ride a bike. Lyles and Attimy will lead a parade of campers from both age groups on daily bike rides. Team Quercus campers ride trikes or bikes with training wheels and remain in and around the BeltLine’s arboretum, where they explore the soil, go birding, learn to identify common trees and create crafts from objects found in nature. Junior TreeKeepers is only one of the nonprofit’s many educational programs. Attimy heads up Urban Tree Trackers, an in-school program that reaches more than 3,000 metro school kids from kindergarten through high school every year. 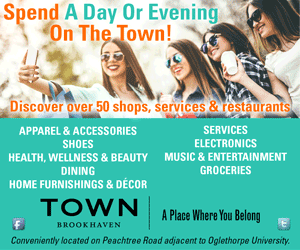 Programs are also offered for kids who are home schooled and pre-schoolers, as well as camps during school breaks. Each one-week session is $295, plus $35 for bike rentals, if the child doesn’t have his or her own. A limited number of scholarships are available for each session. Campers bring a brown bag lunch and a reusable water bottle.